Hello buddies. 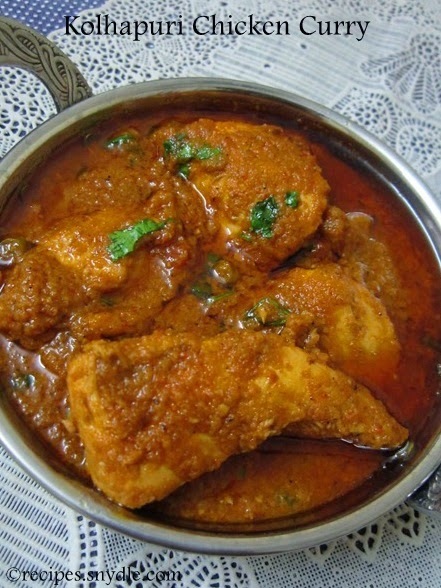 I am back again; this time with a scrumptious Kolhapuri Chicken Curry recipe. I just come here to drool....like seriously drool. Must cook this soon! Love this kolhapuri chicken recipe .. Looks so yummy nad vey easy to prepare .. thank you for sharing its procedure , I really appreciate it . More power !! Do leave a comment. Your feedback is valuable to me. 'Manju'z Kitchen' is now on PaperBlog! 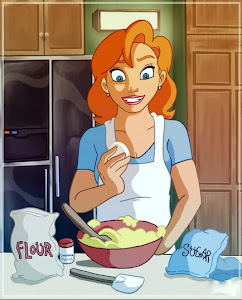 'Manju'z Kitchen' is now on BLOGADDA! Copyright © 2012 Manju'z Kitchen. All rights reserved. All text and images bearing blog's name on this site, except where otherwise noted, is the property of Manju'z Kitchen and the text or watermarked image of this website may not be copied, translated or distributed in any manner (electronic, web or printed) without the prior written consent of author of Manju'z Kitchen. What's hot on 'And my life goes on...'?